There is a reason why I refer to my Endocrinologist as number 1, you will get to understand further into the blogs… I was extremely nervous to find out how diabetes was going to affect me . I still didn’t know if I would have to inject insulin( Type 1) or just take tablets (Type 2). After further tests, it was decided I would need to inject insulin! However I had a phobia of needles ! I decided there was no way I could do this , so the specialist had no option but to admit me to hospital until I learnt to inject. 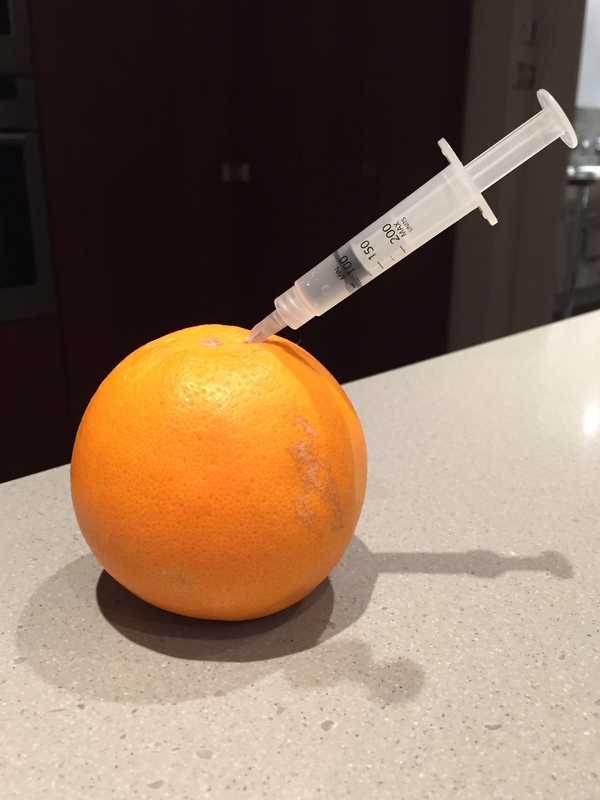 I had to practise on an orange ..It took a week before I overcame my fears ! Next Post → June 1992 .. My life turned upside down ! I am the exact same way with needles and just today got prescribed Tanzeum for type 2 that I will need to inject weekly. I did the first one today with my Endocronologist, but was in tears because I am so scared of needles! Your orange tip may be just the trick I need! The reason the specialist said an orange is because of the texture of the orange is similar to skin .. it worked for me !